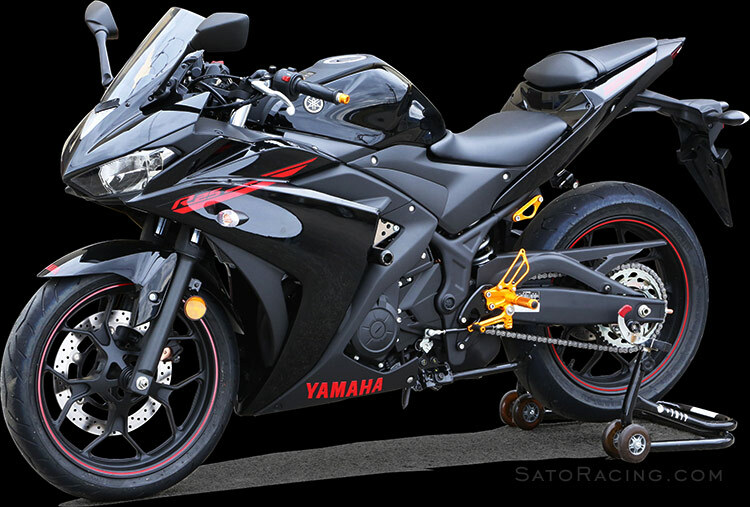 SATO RACING 'Race Concept'-edition Rear Sets are pure, no-compromise racing rear sets designed for track-only bikes. 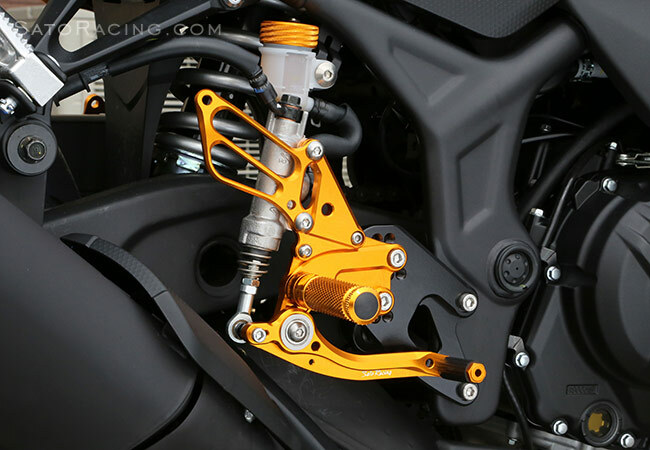 Our 'Race Concept' Rear Sets for 2015-18 Yamaha YZF-R3 are precision CNC-machined from high strength billet aluminum, with your choice of 2 color combinations: Black anodized finish with Gold accents, or Gold anodized finish over contrasting Black base plates. 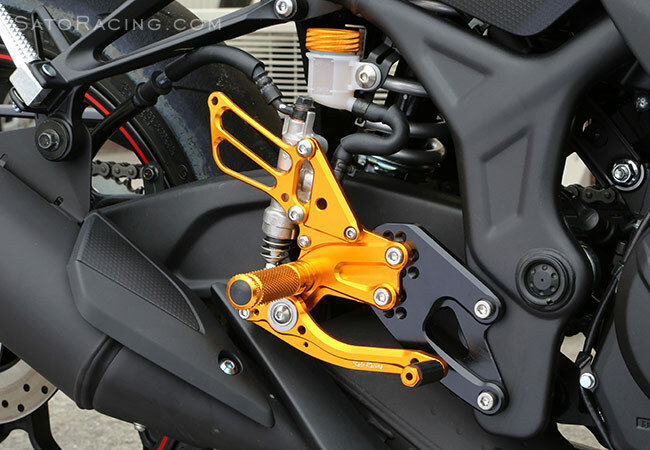 The modular base plate design lets you select from 7 adjustable positions that place your feet up to 85mm higher and 70mm further back compared to stock, for a less upright, more 'tucked in' body position that can also help to maximize lean angle during cornering. 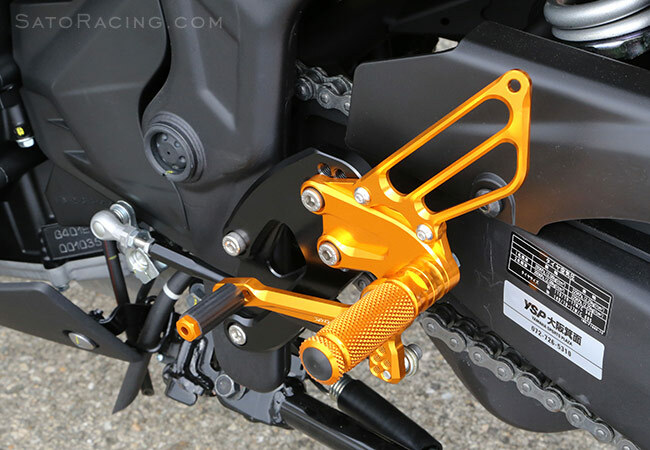 You can set up these Rear Sets for stock shifting pattern, or switch them to reverse (GP-style) shift pattern. NOTE: Not recommended for street use. Not compatible with stock brake light switch sensor. Not recommended for use on ABS model. 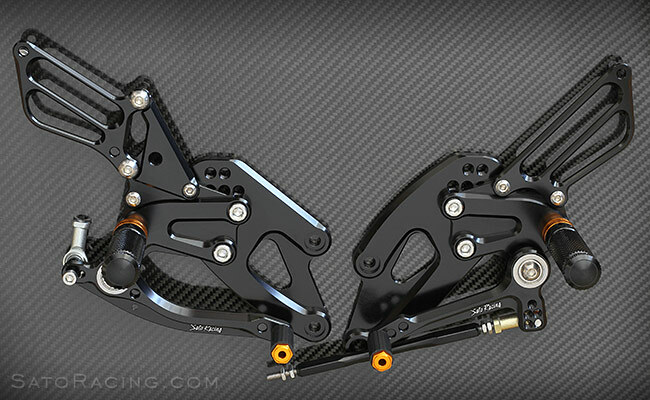 Also check out the alternate 'version 2' design of our R3 'Race Concept' Rear Sets, which has a slightly higher brake pedal mount position compared to this version, providing some additional clearance in the lower positions, something that might be needed if you have a high-mount racing exhaust. For more 'street'-friendly Rear Sets, see our standard R3 Rear Sets. Gold-anodized aluminum Pedal Tips with fluted rubber grips are standard with these Rear Sets. Knurled footpegs provide excellent grip even in wet conditions. the base plate. The shift pedal has multiple adjustment points for fine-tuning the shifter feel. 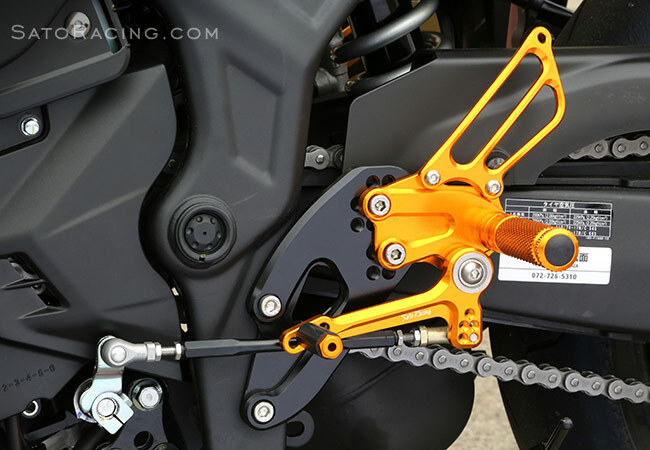 To change to reverse (GP) shift pattern, flip the shift arm the opposite direction.